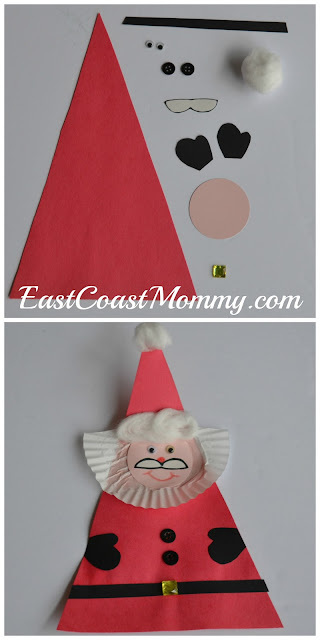 1) Start with a red triangular piece of construction paper. 2) Cut the top from a white cupcake liner, and glue it to the triangle with white glue. 3) Cut a circle from card-stock for the face, and use glue to attach it. 4) Cut a belt and gloves from black paper, and attach with glue. 5) Finish by adding googly eyes, a paper moustache, buttons, and cotton. 2) Cut strips of paper in various colors and lengths. 3) Glue the strips to the card-stock. 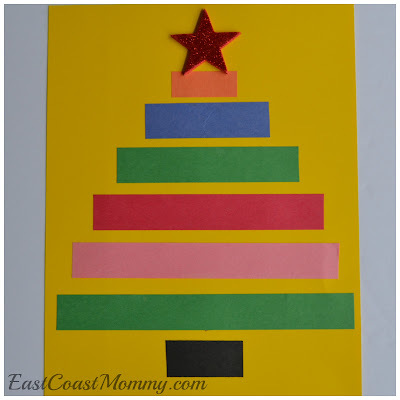 4) Add a glittery star sticker to the top of the tree. 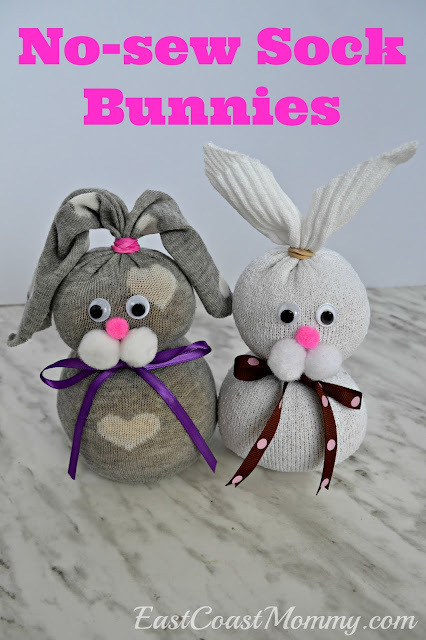 You'll need: a single white sock, some peas or rice, felt, a pom pom, googly eyes, elastics, cotton, buttons, and the step-by-step tutorial that you can find here. 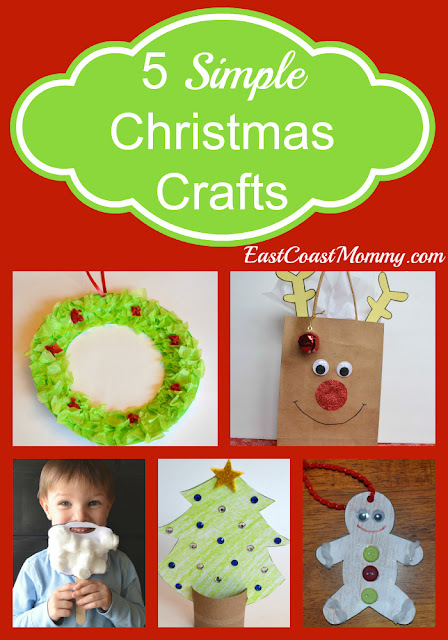 And if you are still feeling crafty, you can check out more simple Christmas crafts here. Making Christmas crafts with kids is a fabulous tradition. 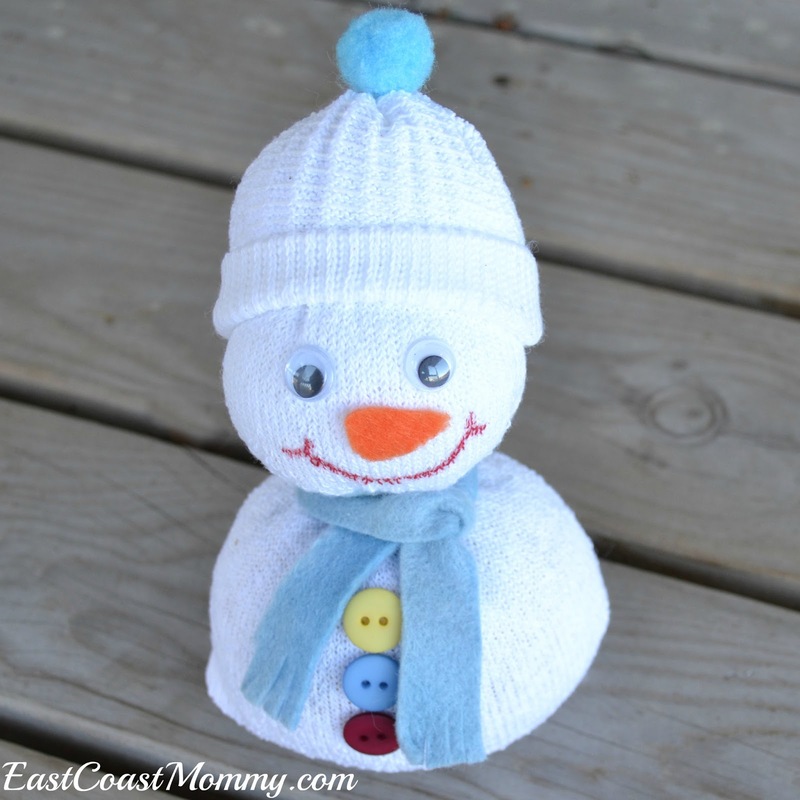 You can use them for gifts, use them to decorate, or simply take them out each year as treasured keepsakes. 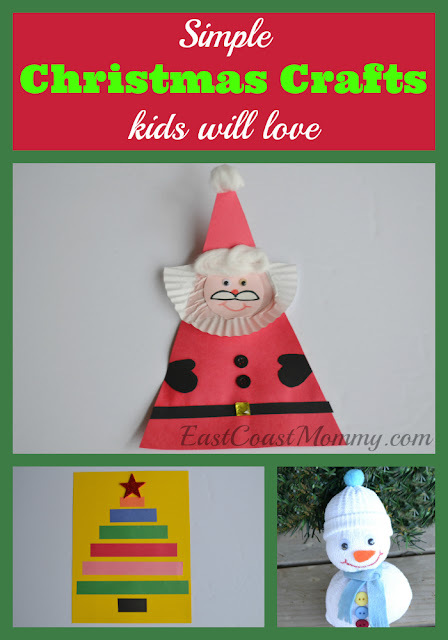 I remember creating holiday crafts as a child, and now I love making them with my boys each year. Happy Crafting!